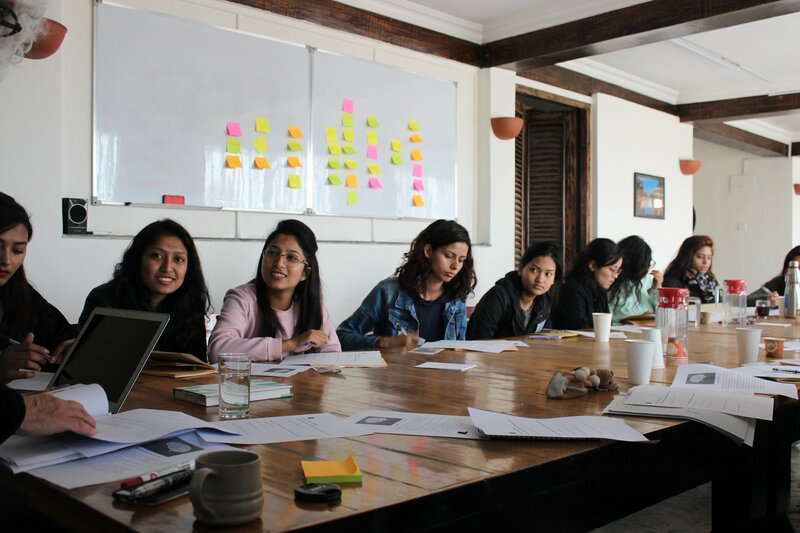 To enable career-oriented young girls enrolled in the university system of Nepal realize their professional dreams by helping them develop workplace competencies and life skills through personalized mentorship from top industry experts. The Nepali education system is severely underdeveloped with a hyper-focus on rote memorization and no emphasis on job soft skill development. More than 43 thousand youths graduate every year that cumulates to 4,00,000 job seeker in a given year. We conduct 16 weeks Fellowship program curated, designed, facilitated and mentored by industry experts to prepare young females for the competitive job market. We dedicate our efforts to developing both soft skills and industry-specific skills. Mr. Narottam Aryal is the Executive Director at King’s College, Kathmandu. Since his graduation in 1999 he has been working with Nepalese higher education especially in the field of business and entrepreneurship. Prior to King’s College, Mr. Aryal worked as the CEO of CG Education System, Chaudhary Group for about two years. He obtained his Master in Public Administration from Tribhuvan University, Kathmandu, Nepal and M. Phil. in Public Policy from University of Bergen, Norway. Awardee of Manager of the Year 2013, he believes that he is an educationist and that effective leaders are genuine human beings. 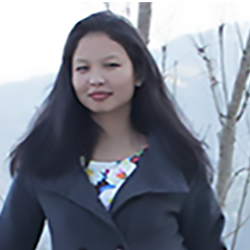 Ms. Chadani Pandey is the Partnership, Communication and Outreach Expert at Winrock International Nepal. Also a Lecturer at King’s College, Ms. Chadani completed her Masters in Conflict, Peace and Development from Tribhuvan University. Over the span of six years of her work experience at several organizations, she has provided her expertise as Resource Person in Soft Skill training at several colleges and schools. She believes that in a work environment better understanding of Communication Skill Set is integral in the growth and overall development. CEO, Young Innovations Pvt Ltd.
CEO at Young Innovations Pvt. 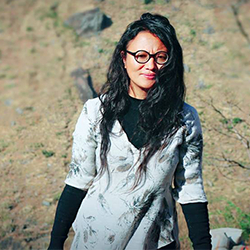 Ltd.
Ms. Bimala Shrestha Pokharel is the Founder and CEO at Higher Ground, Kathmandu. She holds Bachelor in Business/ Sociology and Community Development from Calvin College, USA, and Master in Ministry Leadership. Over the span of 11 years of establishment of Higher Ground as a social enterprise and a non-profit organization, her work has spanned over fight against poverty and human trafficking through awareness, education, counseling, skill training and micro-enterprise. She is also a part of Lalitpur Trail Running Group and Girls On The Run. 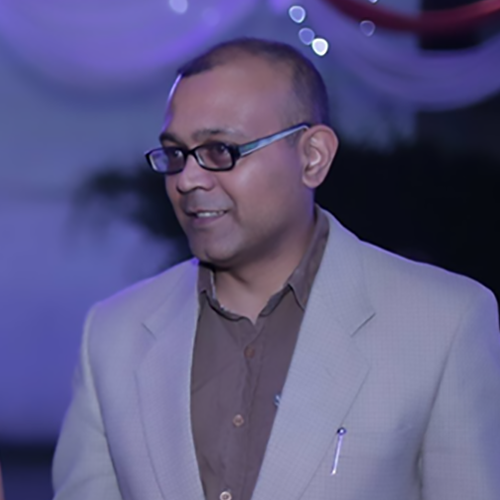 Mr. Amit Agrawal is the CEO at Janaki Technology Pvt Ltd. He completed his education in Computer Engineering from Purbanchal University. 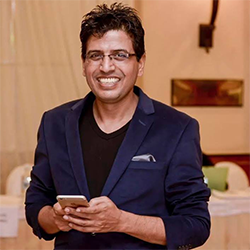 Also, a Manager at Google Business Group, Kathmandu, Mr. Amit Agrawal believes in simplicity and desire to make the best use of technology to empower people. At Janaki Technology he concentrates his work on creating, communicating, and implementing the organization’s vision, mission, and overall direction by motivating the team to move on the same path. 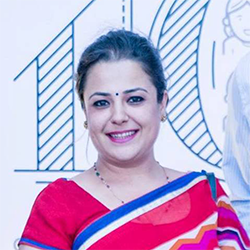 Ms. Santoshi Rana is the Founder of Bihani Social Venture, an initiation born out of the need to create a positive outlook on life and living meaningfully. She completed her Master’s degree in Media and Communication Management from Middlesex University, London. 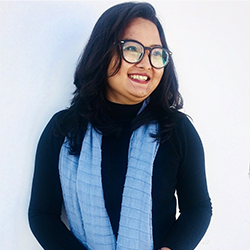 Santoshi Rana through her venture addresses the problems that arise through aging in Nepal while implementing a business model with a social-entrepreneurial mindset. At Bihani, her team believes that one should re(engage, explore and live) to have a rewarding life until the end. 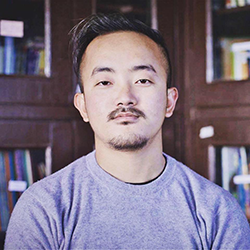 Mr. Nawang Thora Sherpa is a Fundraising and Event Coordinator at Teach for Nepal. He has completed his Bachelor’s degree in Social Work and Psychology and is pursuing his Master’s degree in Entrepreneurship. As a Fellow for Teach for Nepal he was based in Simle, a rural village in Southern Lalitpur. He has experiences of leading over 100 students. His experiences range from innovative practices in tackling challenges to leading various group activities and leadership session for college level students. 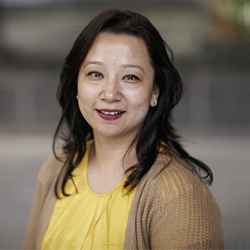 Ms. Uma Magar is the National Coordinator at Higher Ground Community Development, Nepal. As a National Coordinator, her role involves providing strategic leadership to the team, ensuring smooth functioning of the organization. She has completed her education in Master in Business Administration and is pursuing Master in Organizational Leadership. She has also worked as an Organizational Manager in United Vision Nepal and as a Peace Building Officer in Micah Nepal. 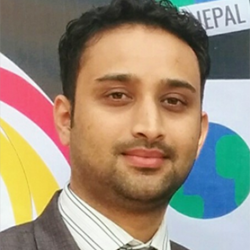 Mr. Laxman Basnet is the Human Resources Manager at Daraz, Nepal. He completed his Master’s degree in International Relations and Affairs from Heidelberg University, Germany. He is multilingual HR professional with proven experience in compensation and benefits, HRIS, recruiting and management and also has proven ability to mentor and motivate both direct reports and cross-functional teams. His ability to manage stakeholder communications and expectations; and implement processes, procedures, and systems that improve efficiency, productivity, and profitability is remarkable. 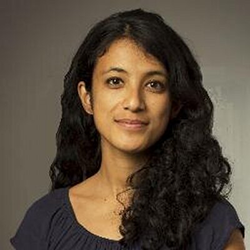 Ms. Mona Aditya is the Alumni Affairs Manager at Teach for Nepal. She completed her Higher Education at Pearson United World College in Canada and Cornell University in the United States as a Davis Scholar. 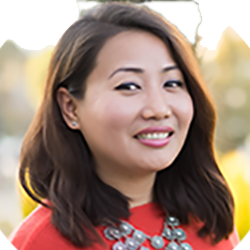 She works with Teach For Nepal’s Alumni to facilitate their leadership exercise and growth beyond Teach For Nepal and to sustain their engagement in their mission beyond their fellowship towards a strong Alumni Movement. 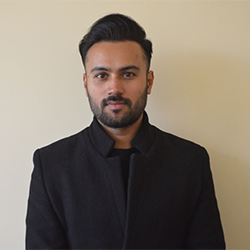 Mr. Abhishek Maskey is the Brand and Relationship Officer at King’s College, Kathmandu. An MBA graduate in Human Resource Management, he is also the Co-Founder of Empowerment Academy. Mr. Maskey is passionate about speaking, designing, and marketing. His work experience over 6 years in the field of marketing, branding, and teaching involves more than 40 workshops on presentation skills, storytelling and public speaking. At the moment, Mr. Maskey is also engaged as a Radio Personality. Bhawana Shrestha, Co-founder of MyEmotionsMatter, was honored as ’30 under 30 Literacy Leader 2015’ by International Literary Association, USA. 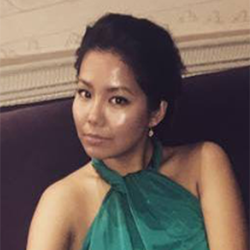 An MPhil graduate in English, she is keen to explore the impact of emotions on people’s personal and professional endeavors. 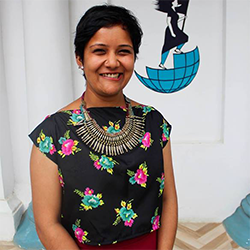 An alumnus of the Teach for Nepal, the network of ‘Teach For All’, she has experience working in the media industry. She also served as ‘Global Youth Ambassador’ of ‘A World at School’, a global education movement, launched by Theirworld, UK. She loves to express through poetry and paintings. 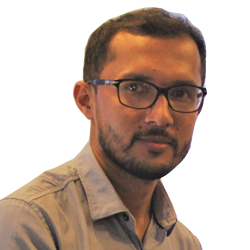 Mr. Binay Devkota, CEO of Clock b Business Innovations, is working in the area of business ideation, innovation and investment. He completed his postgraduate and undergraduate from the United Kingdom, and during the same period understood the essence of communicating with people from different culture and countries. Mr. Binay derives his motivation at work through close interaction with entrepreneurs, students, mentors, academicians and people from different industrial clusters. 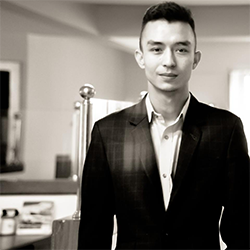 At Clock b, he and his team currently work with nearly 100+ Venture Capitalist and investors of Nepal and overseas. 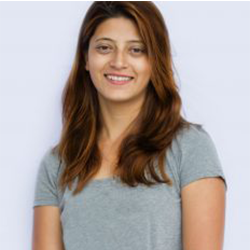 Ms. Shristi Singh Shrestha is the Director at Core Fitness Studio. She completed her education on Masters in Sociology/ Anthropology. Also a freelance writer, her passion is deep-rooted in expression through words and her ultimate soul searching begins and ends with working for animals and their welfare. Besides the fitness studio, she is Vice- President at Animal Nepal. She believes that we are all connected and thus being empathetic towards others is equivalent to being kind to self. Ms. Bahar Kumar is the Director at Nepal Communitere which is a dynamic innovation hub providing a community Makerspace and Resource Center to strengthen Nepali innovation projects and facilitate them into becoming successful entrepreneurs. She is the lead on Nepal Communitere new holistic I-Cube Business Incubation Program providing practical business coaching and mentoring through a one year program. She has strong facilitation, research, training and capacity-building skills focusing on strengthening local teams for success. Mr. Sachet Manandhar is the Chief Operating Officer at Karkhana, Kathmandu. He looks over operations and finances, while also being engaged with middle school students in hands-on learning activities that trigger Creativity, Critical thinking, Collaboration and Communication skills. He is also a Shaper at the Global Shaper Kathmandu Hub. 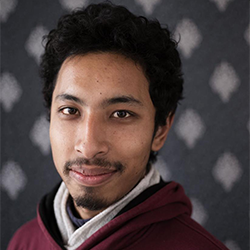 Besides this, he was also the executive member of the Robotics Association of Nepal [RAN] from 2012-2015. He obtained his education in Bachelor of Engineering from Kathmandu University. As a person, he loves to define himself as a keen learner who believes that making mistakes is a part of learning/growing. Hence, the faster you fail, the greater the chances of you succeeding. 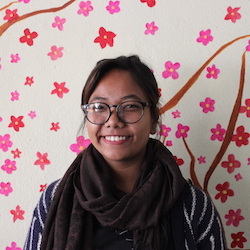 Drishya Gurung is a Leadership Development Manager at Teach for Nepal. She holds Bachelor’s degree in Asian Studies from Asian University for Women, Bangladesh. Also a recipient of Cherie Blair Fellowship and Rockefeller Foundation Fellowship, her experiences span from the field of systemic study like research to training and supporting young leaders. She has been directly supervising and mentoring around 30 Teach for Nepal Fellows in Sindhupalchowk indirectly impacting more than 2000 students. Ms. Juna Mathema co-founded Blitz Media Private Limited, an advertising and research agency, in 2002. Heading its research wing, Juna has since established the company as a top research agency in Nepal. She has overseen more than 200 research projects covering issues of health, education, sanitation, and governance. She has been an advocate of creating employment opportunities through her work. Her academic background includes an MBA in 2001 and a master’s degree in Sociology in 2012. 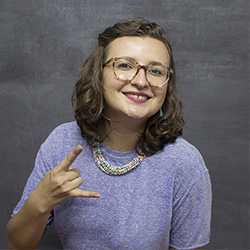 Ms. Kristishma Karki is the Executive Director and one of the founding members at SAATH. She obtained her education on Master of Arts in Liberal Studies from University of Findlay, USA. Apart from being involved in SAATH, she has also worked in Nepal Plus, Women for Human Rights in the past. 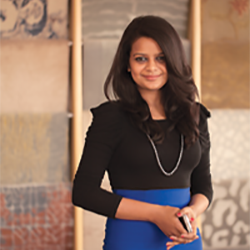 At SAATH, she is committed to her work and leads the team with utmost dedication. 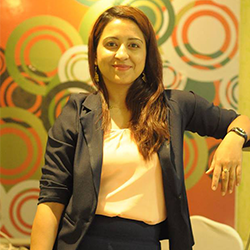 Ms. Shreya Thapa is the Deputy Director at Women Lead Nepal. 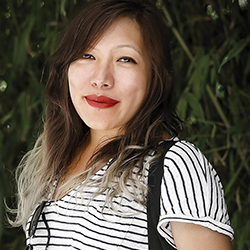 She obtained her education in Psychology at Gordon College, USA before working as a journalist for Republica National Daily and Kathmandu Post for 3 years. She then transitioned to the development sector and worked for I/NGOs in various capacities. Growing and learning from professional and personal experiences, Shreya believes feminism isn’t against men, it is the enemy of bigotry, racism, sexism, and oppression. She is actively involved in the development sector for more than 7 years. 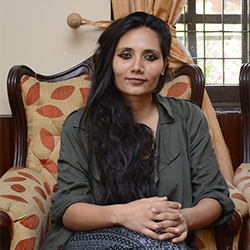 Tripti Dhungana, Communications Officer of Nepal CRS Company, has more than a decade experience in various media platforms of Nepal. A qualified communicator, her expertise lies in aligning organizational communications with various media outlets to get the right messages across. Apart from communications, her professional inclination also lies towards gender issues. 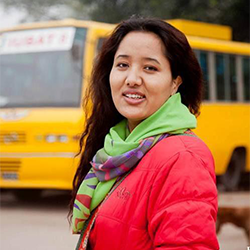 She is graduated from Kathmandu University with major in Gender and has worked as women activist for five years. 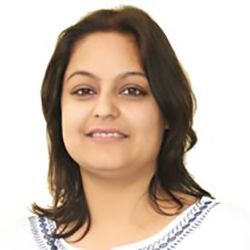 Ms. Shrija Lohani heads the Claims Department as a Manager at United Insurance Company (Nepal) Ltd. She comes with a proven track record of over 16 years in the insurance sector with direct experience in Marketing, Administration and Claims Administration. She is one of very few women executives in the Insurance Industry in Nepal and takes pride in making her mark in the male-dominated industry. She is passionate about providing opportunities for people to show their true potential and in their personal advancement. 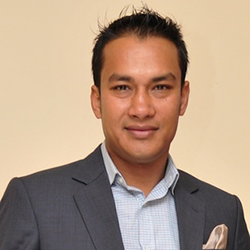 Mr. Riken Maharjan is the CEO of R. B. Diamond Jewellers, Kathmandu. He designed the Miss Nepal 2016 Crowns and the first gem peacock blouse made of precious stones and metals. Besides this, he is also the Secretary of Maya Foundation Nepal which run youth training and developing programs to uplift youths portfolio. 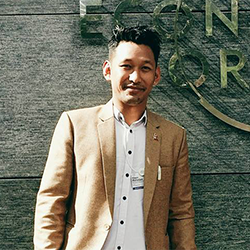 Mr. Maharjan also works as Vice Curator at the Global Shapers Kathmandu Hub. He obtained his education in Jewellery Business Management from Gemological Institute of America. 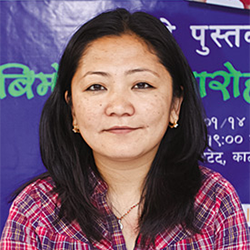 Ms. Haushala Thapa is the Founder/ Director at Children and Youth First (CYF) and also Co-Founder at Haushala Creatives. 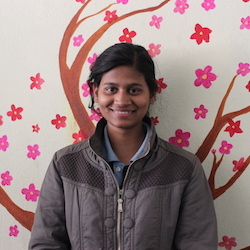 She is pursuing her Master’s degree in Sociology and obtained her Bachelor’s in Social Work from St. Xaviers College. Over the span period of 8 years, her engagement with CYF has focused on giving children the access to their rights and providing a peaceful environment while Haushala Creatives encourages women from disadvantaged backgrounds and marginalized communities to build financial independence and social strength together. 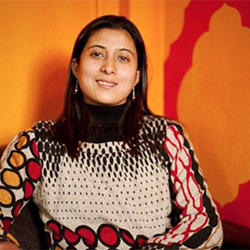 Ms. Shally Sarawagi is the Director at Sarawagi Rugs, a Nepalese carpet manufacture, and export company. She also heads the DreamWeavers Program, a vocational training center in carpet weaving for underprivileged women. Additionally, Shally spearheads the Sarawagi Scholarship program, helping the company’s weavers’ children by funding their education, mentorship, leadership development, and career counseling. One of her greatest passions is to help young adults reach their true potential. Sunita Nhemmaphuki is the Managing Director of R&D Innovations. Over the period of 7 years, she has been working in the agriculture sector in the fields of 3Cs -Communication, Consulting, and Coordination. Her company works as one-stop solution for those involved in the agricultural sector by empowering the farming community. Her educational background is in Journalism and Mass Communication. Ms. Nhemaphuki is also the editor at Krishi and Prabidhi and manages Agri Nepal. Surath Giri is an entrepreneurship activist turned entrepreneur. 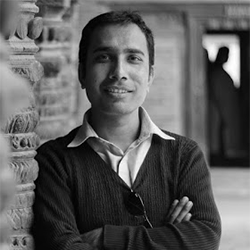 He currently runs two companies – Onion Film Nepal, an audio-visual production company that also trains young people on visual storytelling as a part of its social mission and Nepal Language and Research Solution, a translation and research agency that is also building an online dictionary of languages spoken in Nepal as a part of its social mission. He looks after the business development and the implementation of the social mission for both the companies. He obtained his Master’s degree from the University of Hong Kong in Political Economics. 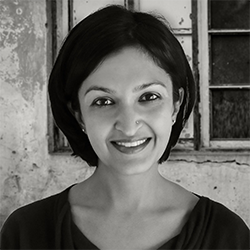 Ms. Deepa Rai is the Executive Director at Nepal Rises. Her education background is in Information Management. She believes that she is an optimistic person who likes to travel and look at the world with the positive perspective. As an Executive Director of Nepal Rises her mission is to facilitate the community for its development and upliftment and for that Education is a powerful tool. General Manager, Eco Infinity Pvt. Ltd.
Ms. Pranayna KC is the General Manager at Eco Infinity Pvt. 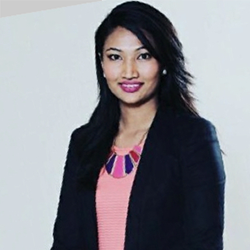 Ltd. where she started as the core-team of the startup and executed six successful marketing campaigns gaining 30% of the market share and leading Vespa to be the second highest selling prime two-wheeler in Nepal within the first year. Over the span period of 9 years of her career, she has worked in 5 different countries. She was also the Business Development Manager at Vodafone, Perth, Western Australia. She completed her education in Master of Public Administration from National University of Singapore. General Manager at Eco Infinity Pvt. Ltd.
Ms. Kessang Lama is the Operational Information Management and Performance Reporting Officer at United Nations World Food Programme. She completed her education in the Master of Science in International Public Policy, University College London, London, UK. She is multilingual international professional with 2.5 years of experience in economic and social growth, communication and managing innovative development and environmental programs spanning urban and rural Nepal. She has been associated with different organizations in various capacities demanding hard work and creativity. 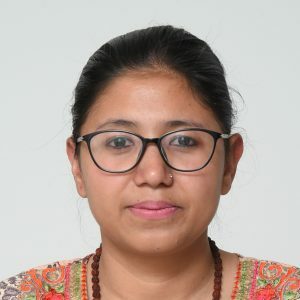 Sabina Baniya Chhetri is Assistant Professor and Research Project Guidance in-charge at the Kathmandu University School of Management (KUSOM). She has an MPhil in Management (2014), and an MBA (2014). Her prior work experience includes 4 years at Nepal CRS Company (Healthy Homes/ USAID Project) as a marketing officer. She also has the role of visiting Faculty for HR, Marketing and Research Methodology in various business schools in Kathmandu.